Who knew Rhubarb was harvested by candlelight? Last week a friend gave me some Rhubarb from her garden, and since strawberries are super sweet right now, I decided to make pie. 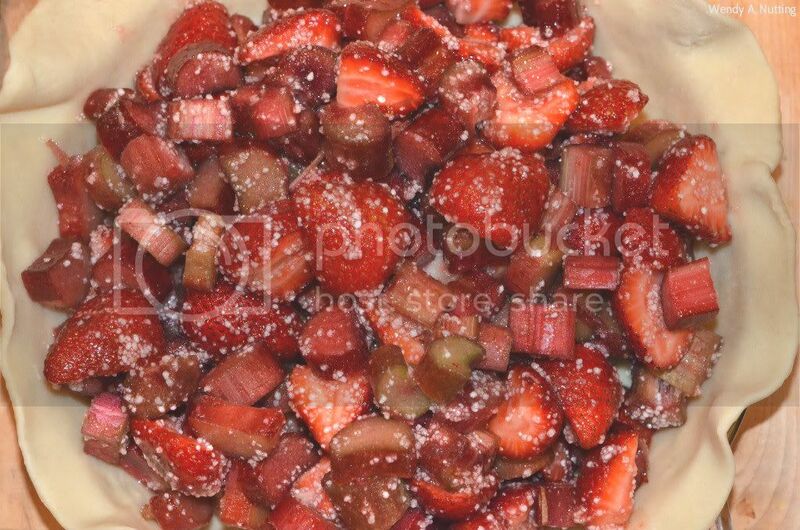 I have never been a huge fan of Strawberry Rhubarb pie, it is usually overly sweet and very "jam" like. 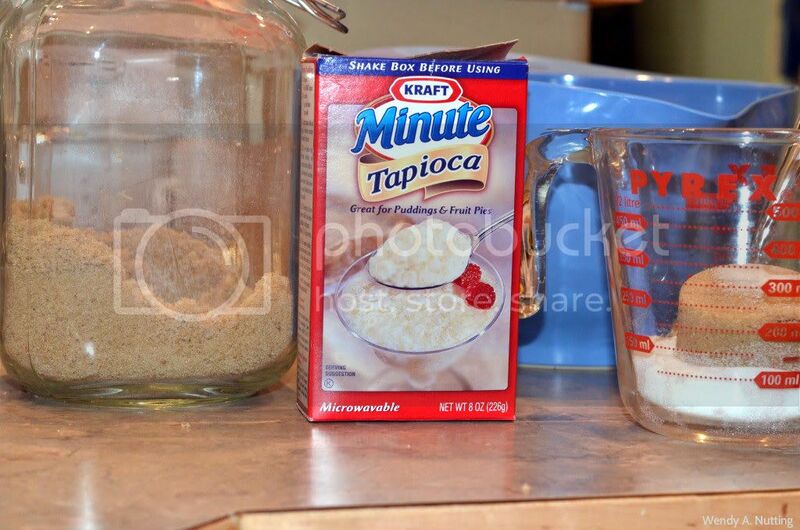 I looked on my favorite food blog and found a recipe that promised a less sweet, more tart flavor with a bit of richness, achieved by replacing some of the white sugar with brown sugar. In trying to obtain a less jam like filling I decided to leave the fruit a bit larger. I did this last winter with an apple pie and loved the results. Now I am going to step off track here for a moment because my Nana always grew rhubarb. I remember exactly how it filled in along the side of the single car garage at the end of their driveway. How she used to hand us a stalk with some sugar on it and we'd bite into it's sour red flesh and make funny faces. 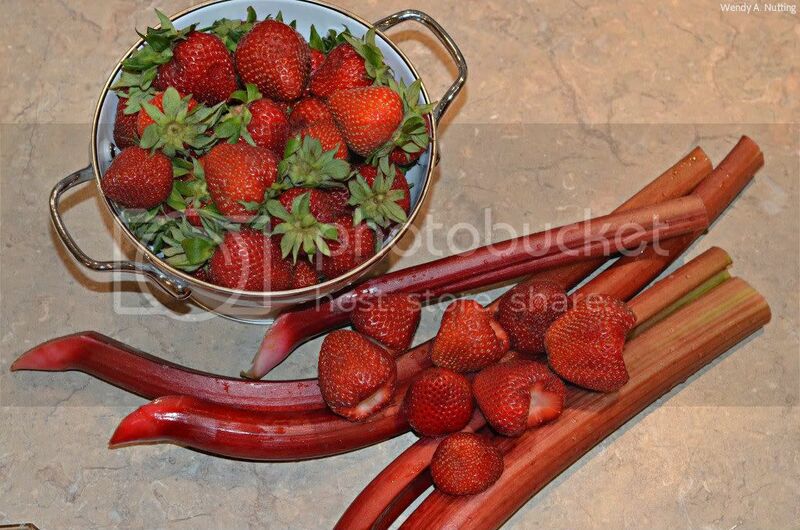 I am not sure if I actually liked rhubarb as a kid, if I just liked the sugar or the sour faces that entertained us; either way it brings back wonderful memories. Thanks to Wikipedia, I realized rhubarb has some interesting tidbits itself. "Rhubarb is usually considered to be a vegetable; however, in the United States, a New York court decided in 1947 that since it was used in the United States as a fruit, it was to be counted as a fruit for the purposes of regulations and duties. A side effect was a reduction on imported rhubarb tariffs, as tariffs were higher for vegetables than fruits." "In the United Kingdom, the first rhubarb of the year is harvested by candlelight in forcing sheds - where all other light is excluded - a practice that produces a sweeter, more tender stalk; these sheds are dotted around the noted "Rhubarb Triangle" of Wakefield, Leeds, and Morley." "Rhubarb first came to the United States in the 1820s, entering the country in Maine, Massachusetts and moving westwards with the European American settlers." Of course now I want to go see these forcing sheds and the rhubarb that is harvested by candlelight, how cool is that? Ok, back to the delicious pie. just a few more steps. 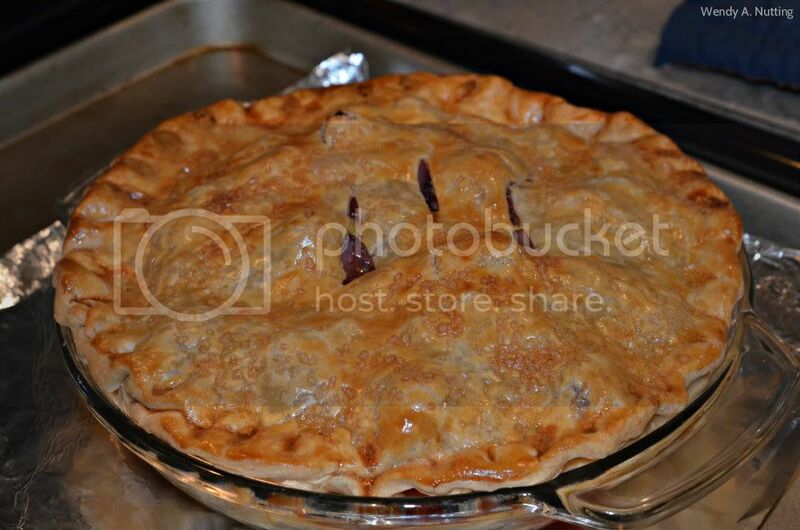 I had a pre-made pie crust in the fridge, so this pie came together in no time at all. A simple egg wash and a sprinkle of vanilla infused Turbinado sugar, always yields a beautiful baked crust. 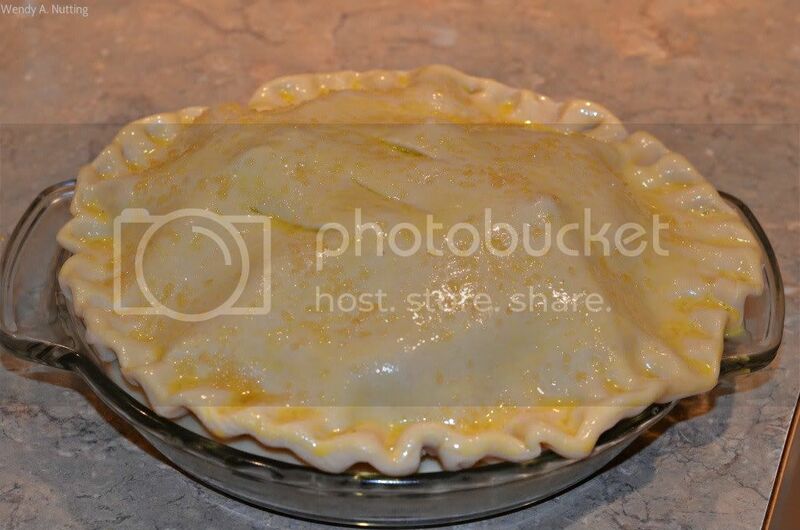 Although, I must admit I am never happy with how my pies look prior to baking. I have not mastered the art of a perfect edge and eventually I just have to stop fussing, bake it and let it be what it will be. Magically the end result never disappoints. This pie was really, really good. 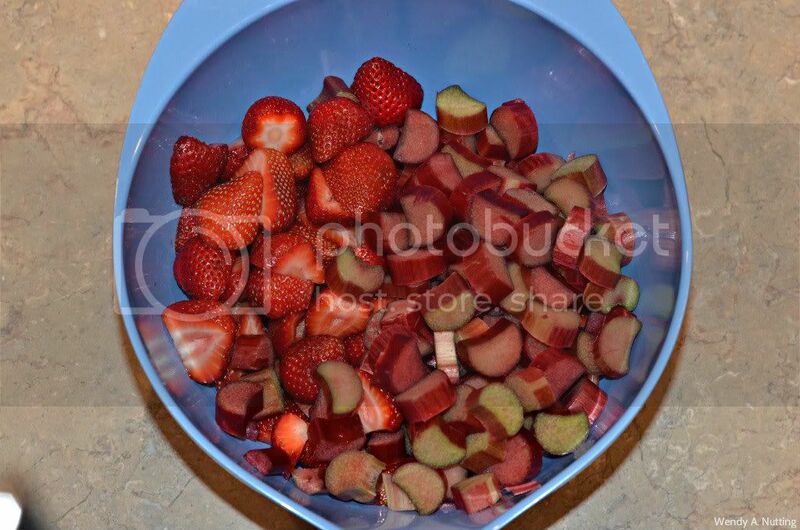 It was sweet but retained the fresh flavors of the strawberries and the rhubarb beautifully. It's a keeper. Thanks J and B for the Rhubarb! Wishing you all a lovely day.